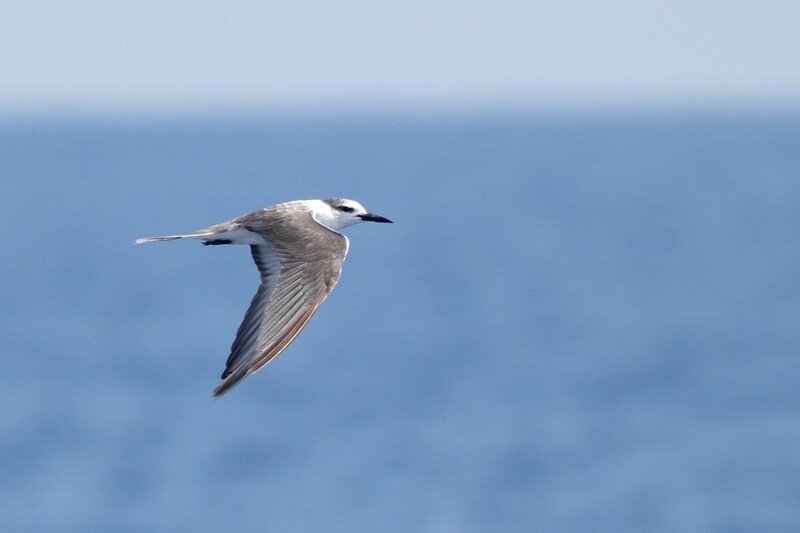 found out there and are always exciting to see, but not many people realize that August is also a great time of the year to see a number of unique tern species out on the ocean. 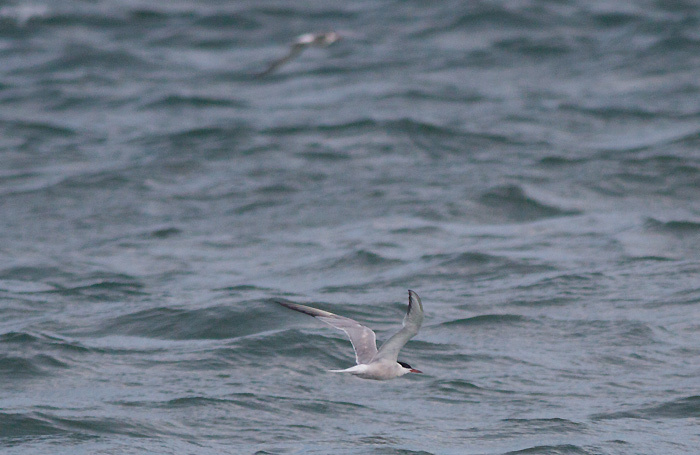 After the breeding season, many tern species take to the open ocean to migrate to their more southern wintering sites. At the same time, many of the tropical nesting tern species have also finished nesting and wander north during the late summer, pushed by the Gulf Stream. 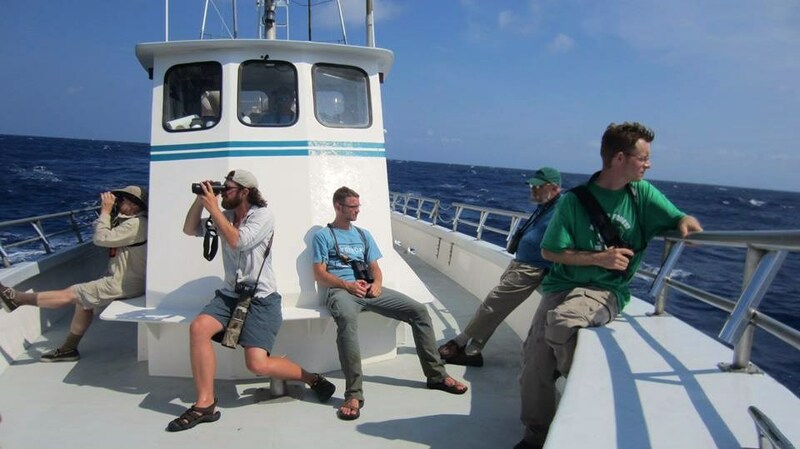 This creates an exciting situation for pelagic birders who must always be alert to the possibility of a tern, or group of terns, ripping past the boat at any second….leaving little time to pick out field marks well enough to narrow it down to one species, let alone hold on to the boat and your binos. On calmer days, it is possible to spot terns at a distance and that can help to navigate closer and try and get the best views possible. 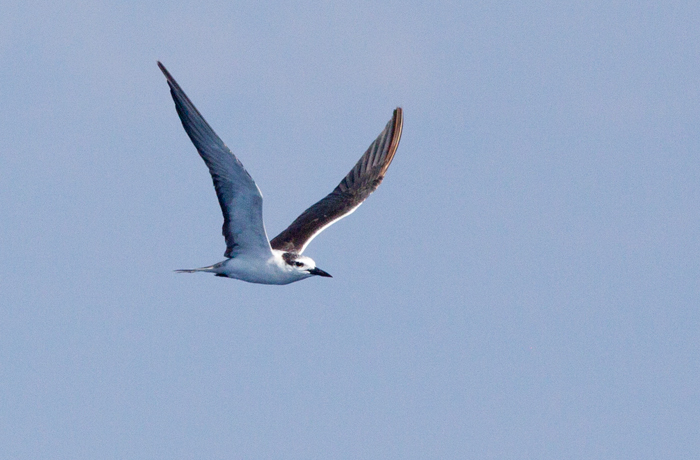 Pelagic terns also take advantage of their incredibly light weight and often perch on floating debris to rest. The tern species moving south that are most likely to be seen far out on the ocean are Black Tern, Common Tern, Forster’s Tern, and Arctic Tern. 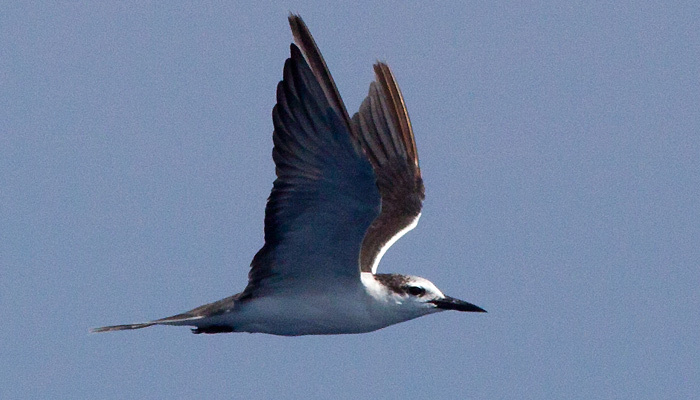 The three tropical species that can be found moving north, are Sooty Tern, Bridled Tern, and Roseate Tern. A few other species like Least Tern, Royal Tern, and Caspian Tern may wind up out that far, but are much more likely to stay closer to shore. 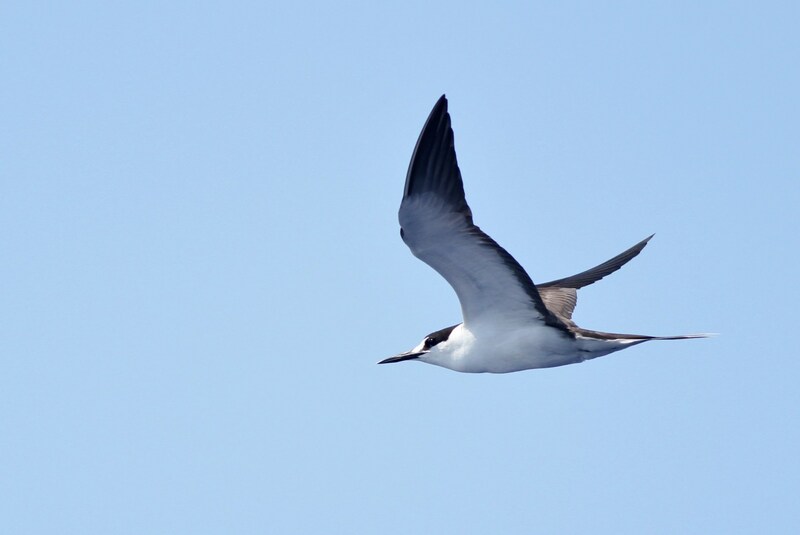 During a recent pelagic trip with Brian Patteson and the PSO, Mike Lanzone and I were able to get great photos of a few pelagic tern species including one which was a lifer for me – Bridled Tern! On the first day out, we saw 2 Sooty Terns, 1 Bridled Tern, 3 Sooty/Bridled Terns (too far to tell), 15 Black Terns, as well as a few Common and Royal Terns. The second day, we had just 1 Black Tern and a few Common and Royal Terns….which goes to show how variable a day out on the ocean can be. Of course, wherever there are terns there are usually bullies around to try and harass them. 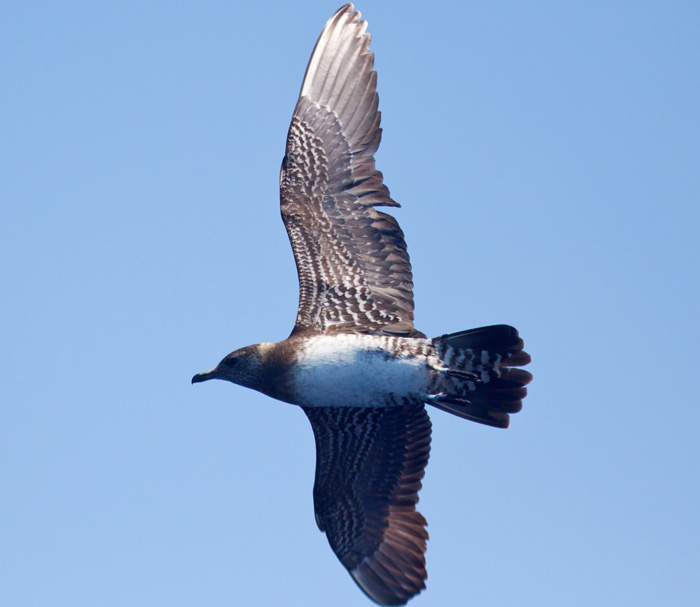 In the Gulf Stream that list includes all three species of jeagers plus the possibility of South Polar Skua, as well as a few species of large gulls that wander far out on the ocean. 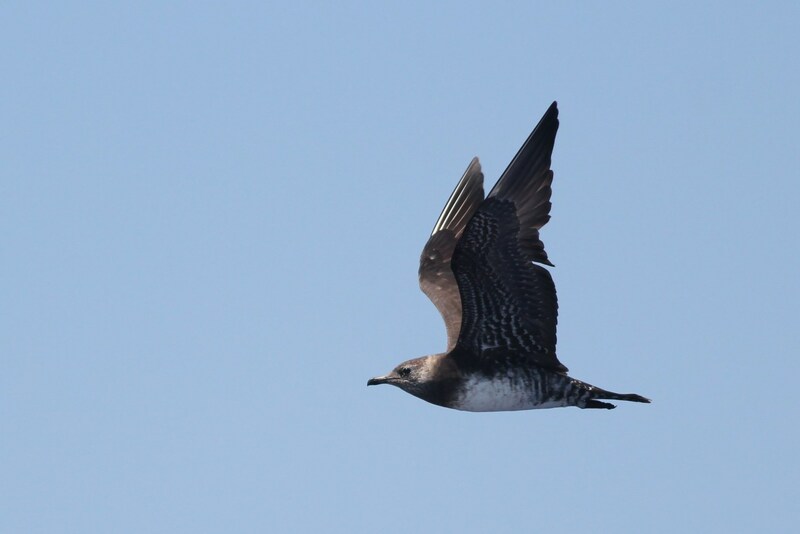 Pomarine Jaeger is probably the most common jaeger species in the Gulf Stream during August, but Parasitic and Long-tailed tie for a close second. 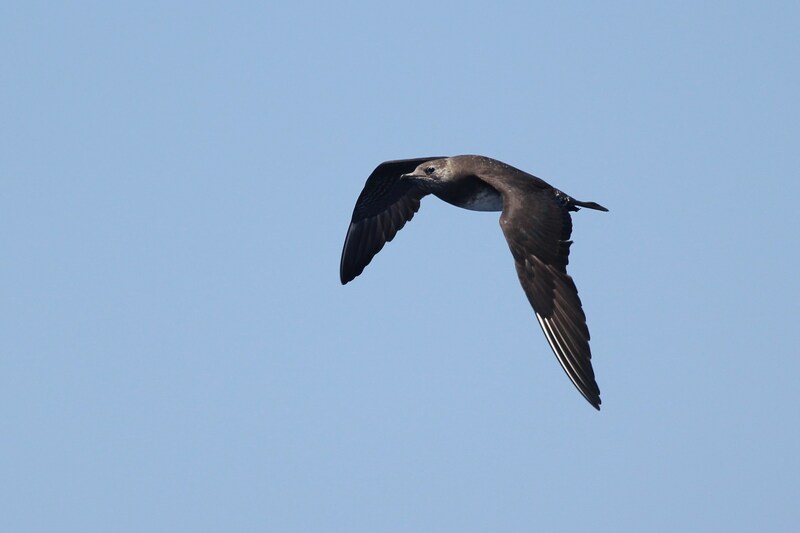 We were lucky to see a first year Long-tailed Jaeger on our first day out. 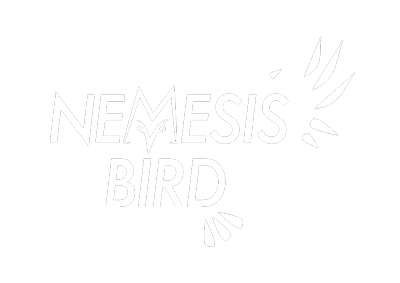 The sleek bird flew straight in to the fish-oil slick behind the boat, scattering the many Wilson’s Storm-Petrels gathered back there. The jaeger worked its way closer to us, occasionally stopping to grab a bit of fish meat off the surface of the water. After a few minutes, the jaeger was right near the boat and even circled around twice allowing for killer looks before it flew off, and out of view. 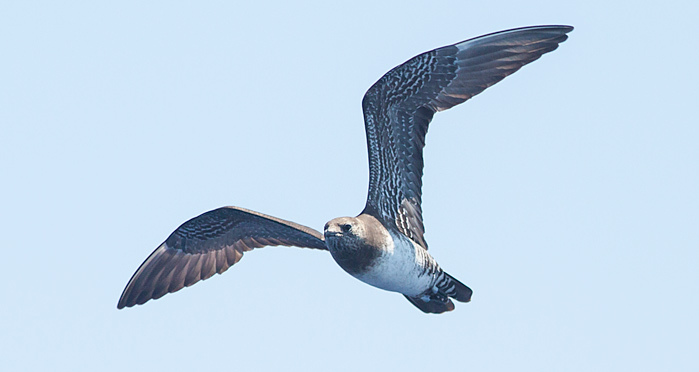 This bird’s small size, tern-like flight behavior, and heavily-barred undertail helped to rule out the other jaeger species, which are all superficially quite similar in appearance. 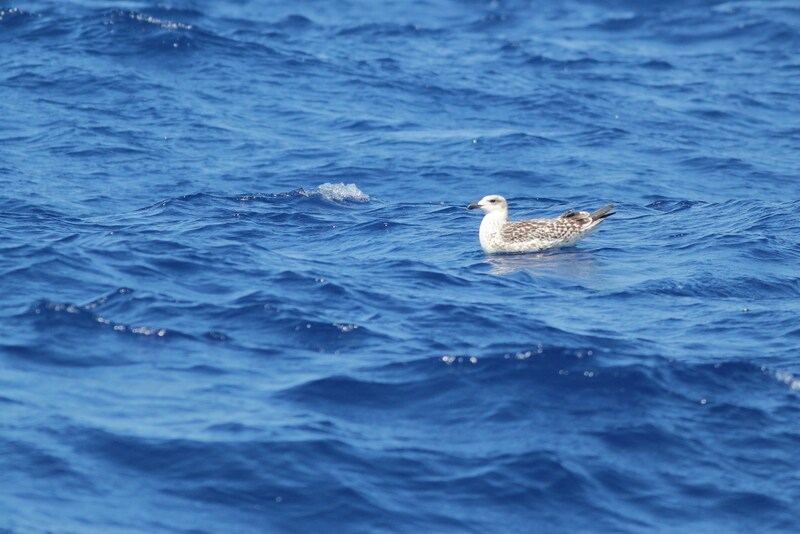 During two days offshore, we only encountered one gull in the Gulf Stream – a juvenile Great Black-backed Gull that followed us around for about an hour before disappearing. 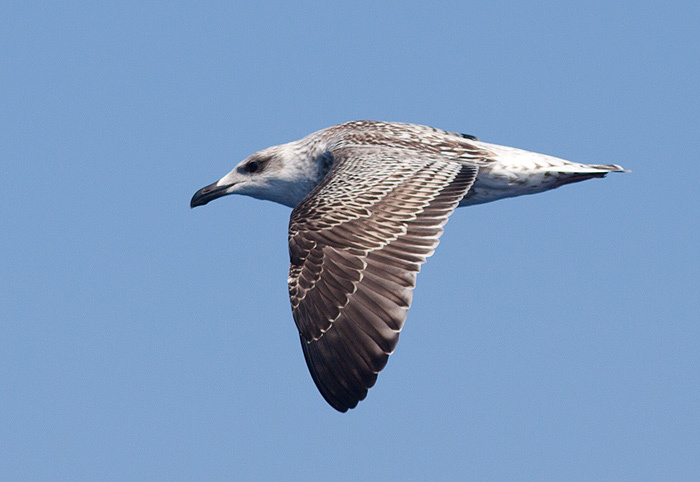 It was a neat comparison to have the big gull floating side-by-side with Cory’s Shearwater. It is always interesting to see the other side of these bird’s lives, when they aren’t picking around through garbage dumps or loafing on a beach but actually out on the open ocean struggling to find food but having the size and strength to get it any way they can.